Before I get to the 5th reason to buy local (and there are more than 5, its just that this particular week had only 5 weekdays in it:)), lets review what reasons we’ve listed so far. Reason #3: You are buying not only from some local owner, but local people. Reason #4: The flexibility of the company. Reason #5: The history of the company. We are old Huntsville, and new Huntsville, and everything in between. 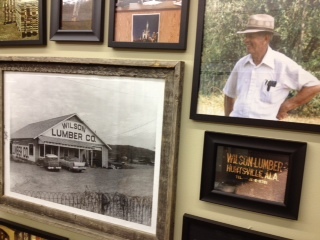 Clyde Wilson moved his family to Huntsville in 1949 to start a lumber company with his brother in law Ellard Murphree. 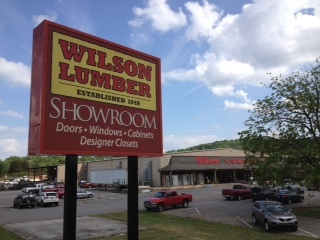 As simple as it sounds, they both had some land with some wood on it and figured they could cut it and sell it in Huntsville. They were right. The next year “Uncle Ellard” sold his portion of the business to Clyde. They cut the wood, took it to the mill, got it from the mill, and sold it here. Here is where you insert all the jokes about Granddad being “vertically integrated”. And then more jokes about the grandson (me) not even knowing which end of a chainsaw to hold. 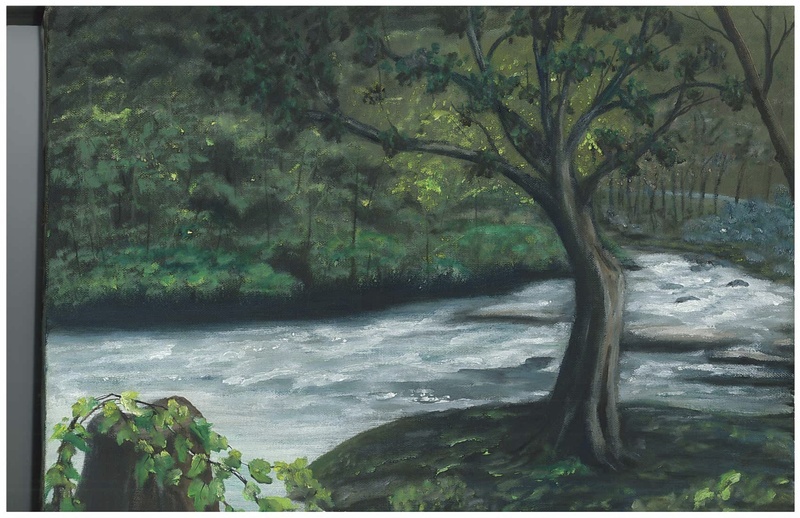 While I was searching for a couple of pictures to include in this I came across a couple of paintings my Grand-mom did. She used to paint a lot and she is one of those people that never thought she was any good at it. I’ll let you be the judge. Hmm. Reason number 6 may be that when you are cleaning out offices at local businesses, you find treasures like this. Anyway, we’ve come a long way. Huntsville has been good to us, and we want the best for Huntsville. Visit us for more info on the web and thanks for reading.